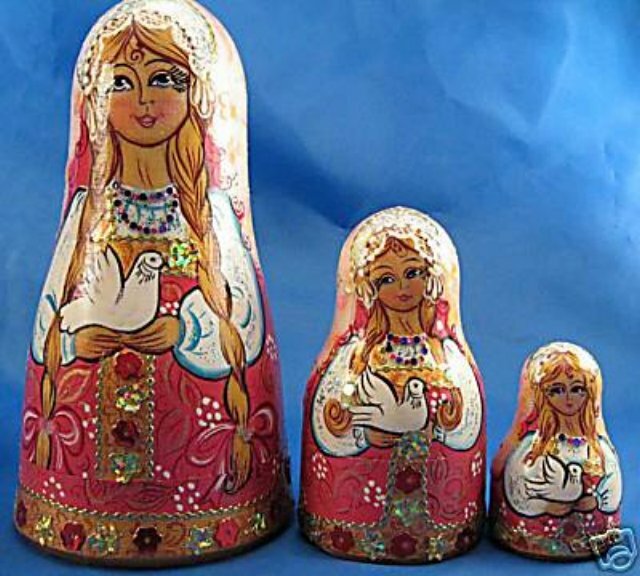 Russian Nesting Dolls Matreshka is an unusual bell shape. This three piece set features lovely ladies in pink and gold, with blonde braids and holding doves. Hand made in Sergiev Posad, Russia. High Quality Painting. Excellent quality.